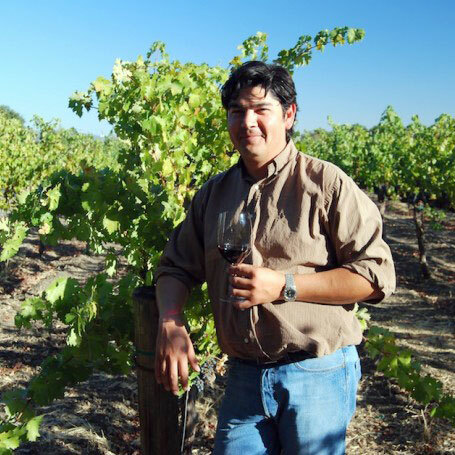 Gustavo got his start as an intern in the laboratories at Robert Mondavi Winery. I started as an intern in the laboratories at Robert Mondavi Winery. I didn’t really have an “a-ha” wine. I grew up drinking wine with my family, and my interest in the wine industry came from a combination of factors. My family was in the ag business and I saw wine as a way to be creative while still working in agriculture. I also recall a bottle in my dad’s stash of Robert Mondavi wine from the 1980s. The bottle had a mission statement on the back. I did not know it then, but Robert Mondavi launched a Mission Program to counteract a growing anti-alcohol movement and included the mission statement on every bottle of Robert Mondavi at the time. The statement said: “Wine has been with us since the beginning of civilization. It is the temperate, civilized, sacred, romantic, mealtime beverage recommended in the Bible. Wine has been praised for centuries by statesmen, philosophers, poets and scholars. Wine in moderation is an integral part of our culture, heritage and the gracious way of life.” That description of wine stuck with me and is why I wanted to and did go to work for Robert Mondavi. Robert Mondavi. He always strived to be the very best and worked tirelessly to put Napa on the map as a premier wine region. I am always learning something new. Every vintage is different and you have to learn how to adjust to those differences. Napa has both a good climate and good soils, along with people interested in making the best wine possible. Whenever I come back from traveling to other areas, I note what a great place Napa is and how blessed it is to have the weather it has. Mira Winery is always promoting Napa Valley. At every opportunity, we discuss how unique and special this place is. We are committed to educating the wine drinking public on the valley and very recently opened our Napa Valley Education Center & Tasting Room in Charleston, South Carolina to bring the message outside California. Learn as much as you can about the place and appreciate its gifts. Also, be sure to visit other wine regions truly to understand how Napa differs.